For those of us who never were high school superstar athletes but rather art stars, I bring you a collection of “Varsity Otherwise” banners. You’re welcome. Requests? Let me know. 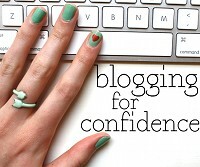 I want to take a second to gush about my friend Meredith’s blog and her newest project, “Blogging for Confidence.” She can explain it better than I can, so please check it out here. If you haven’t seen Meredith’s blog, you really need to. She has the cutest buttons of all time, too! It’s been such a pleasure getting to know Meredith and I am happy to have such an awesome, crafty, wonderful friend who also happens to be from one of my favorite states! I think this is such an honest, awesome, and important project. 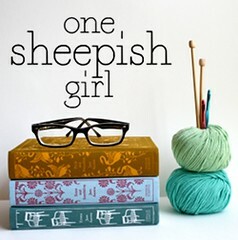 Meredith’s blog is ultra pretty and features so many beautiful and wonderful things. In her Blogging for Confidence series, Meredith is challenging herself to be bolder and try new things and then blog about the experience because through her blogging she has gained more confidence… it’s just brilliant! I love it! She’s awesome. I bet others can relate to this, has blogging helped you become more of something? More honest? More appreciative? More confident? I think for me, blogging is an easy way to express how I actually feel. I am not the type to get ridiculously giddy or sappy or emotional but I think I have an easier time writing out my excitement than I do expressing it physically. Unless of course we are at a Backstreet Boys concert in which case I literally cannot sit still and must yell, scream, clap and jump. 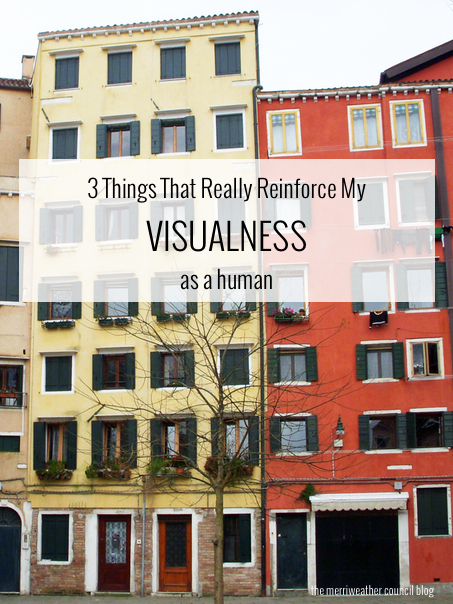 I always knew I was a “visual learner” – no math or science please. 1. I only know which apples I like based on their location in the store. Recently the apples were moved to the other side of the produce department… it took a while to remember which name looked most familiar. 2. Copilot passenger person needs to physically indicate which direction to turn. None of this “turn left”… give it to me in terms I understand… point, move your arm, nod, something, please! Physical indication of which direction I need to go is the only really good way to guarantee it will happen. 3. I sometimes want to buy things that I don’t need, or that I have no use for just because they are a pretty color. I saw a comb at Forever 21 last night that was this really pretty shade of red – poppy red, I’ll call it – I have absolutely no need for yet another comb… but I wanted it. Because it was pretty. Because I liked the color of it. I didn’t buy it, but I thought about it for about 3 minutes.